Kids can be overly dramatic by nature. To adults, their emotions seem irrational and completely out of proportion with the situation. But, that's OK. They're allowed to feel whatever they want—even if you don't feel the same way they do. Of course, that doesn't mean they can behave however they want. Correct your child for breaking the rules, hurting other people, or behaving socially inappropriate. At the same time, let her know it's OK to feel angry, sad, scared, excited, or whatever other emotion she experiences. Kids who believe, “I shouldn’t feel sad,” will go to great lengths to avoid grief. But that’s not healthy. Grief is a healing process. Similarly, kids who think, “Being mad isn’t good,” may paste on a smile and refuse to speak up for themselves. In actuality, anger isn’t bad. It’s how kids choose to deal with their anger that can lead to healthy or unhealthy choices. Don’t get so mad over something so small. You’re freaking out over nothing. Stop worrying about such a silly thing. Differentiate between what your child does and how she feels. Anger is a feeling and hitting is a behavior. Sadness is a feeling and screaming is a behavior. Rather than convince your child not to feel certain things, teach her how to deal with uncomfortable emotions. For example, proactively teach anger management techniques. 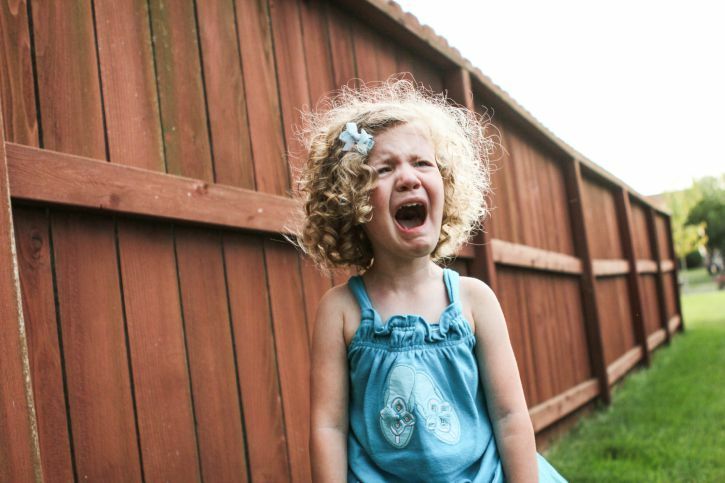 Show your child that feeling angry is normal, but throwing a temper tantrum isn’t healthy. Sometimes parents think that raising a mentally strong child is about raising an unemotional child. But that’s not true. Mentally strong kids recognize their emotions and then, choose healthy ways to cope with those feelings. Teach your child that she can handle uncomfortable feelings, like anxiety. When she’s scared to step up in front of the whole school at the spelling bee, she’ll be willing to give it a try if you've given her the skills to face her fears. If, however, you send the message that anxiety is bad, she may avoid doing things that cause her to feel anxious. Similarly, show your child that uncomfortable emotions are a part of life. And sometimes, you have to behave contrary to how you feel. For example, talk about how you still treat others kindly, even on days where you feel grumpy. Show your child that on days where you feel sad, you still go to work. Make it clear that sometimes, you have to get things done, even when you don’t feel like it. Teach healthy coping skills. Proactively teach your child how to cope with discomfort in a positive manner. Show her that she can color a picture when she’s sad or that she can play outside when she’s angry. Show your child that she can have some control over her feelings. If she’s in a bad mood, talk about how certain behaviors—like sulking in her room—are likely to keep her stuck in a bad mood. Explain how other choices—such as playing a fun game—could cheer her up. Discipline your child for inappropriate behavior. If your child breaks her brother’s toy when she’s angry, give her a consequence. Make it clear that she won’t be punished for her feelings, but she will be given consequences for breaking the rules. Don’t allow your child to use emotions as an excuse. If your child says she can’t do her homework because she’s sad, don’t allow her to get out of doing the work. With rare exception, hold her accountable for her behavior. Rare exceptions may include things like dealing with a death in the family or another family emergency. As your child grows up, she'll gain better control over her emotions. But that doesn't mean she won't struggle throughout her grade school and teen years. Childhood can be an emotional roller coaster. Look for teachable moments to coach your child. And be prepared to work on managing your emotions better. Your child will learn a lot about emotions by the way you respond to obstacles, difficult people, and setbacks. Benita M, Levkovitz T, Roth G. Integrative emotion regulation predicts adolescents prosocial behavior through the mediation of empathy. Learning and Instruction. 2017;50:14-20. Voltmer K, Salisch MV. Three meta-analyses of childrens emotion knowledge and their school success. Learning and Individual Differences. 2017;59:107-118.